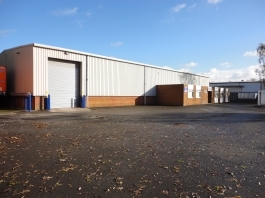 Do you need a warehouse storage company in Rochdale? Located in Greater Manchester, Rochdale offers an ideal location for companies wanting to store their goods close to Manchester without paying premium warehousing rates. Situated just north of Manchester in the North West of England you will find a number of logistics companies able to assist with your warehousing requirements. There are three superb facilities in the Whichwarehouse network, located around the Rochdale area providing customers the option of storing their goods within close proximity of Manchester without paying high rates which some logistics companies charge due to their location. At their secure facility, warehouse providers can offer a number of additional logistics services for any supply chain solution such as ecommerce pick and pack services and heated warehousing for those commercial goods in need of a little extra. In addition to warehousing storage you will also find excellent distribution services to ensure your goods are transported to your customers safely and efficiently. If you would like to discuss warehousing and distribution in the Rochdale area or any other part of the UK then please contact Whichwarehouse on 0800 1707 555 for assistance. We provide a free service to assist companies looking for warehouse storage and additional services. With many members as part of the Whichwarehouse network after discussing your requirements we will find you suitable options and put you in touch with them directly.